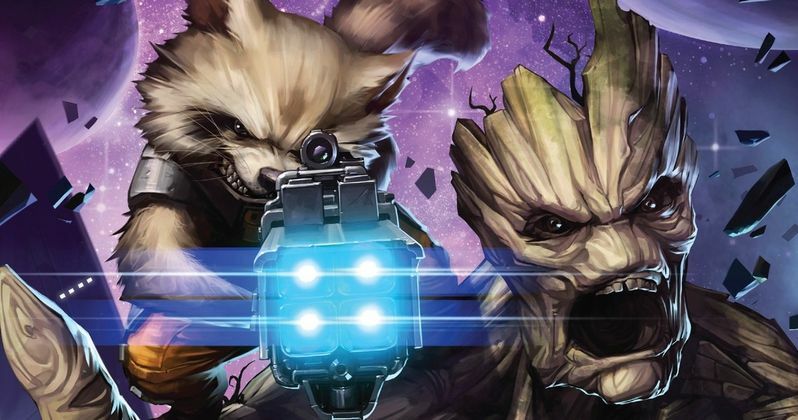 When Guardians of the Galaxy hits theaters this weekend, fans will be introduced to a whole new group of unique characters from the Marvel comic book universe, the strangest of which are Rocket Raccoon and Groot. Marvel Studios has released a new featurette that sheds more light on this crass raccoon, voiced by Bradley Cooper and this massive, living tree, voiced by Vin Diesel. Although Groot only has one line of dialogue throughout the movie ("I am Groot"), director James Gunn explains that this phrase can mean several different things. Take a look at the latest footage and prepare to enter a whole new world when Guardians of the Galaxy hits theaters on August 1.